Memo application that can be used easily with Apple Watch "Watch Mail"
Memo will be sent to the e-mail address that you registered. 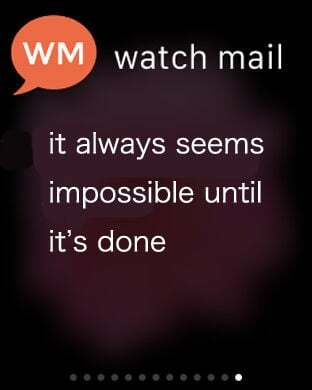 Immediately Watch Mail from Glance is I will start. The last note that was registered in can be immediately confirmed in Glance. You can also easily Memo iPhone. iPhone, memo Sign up for both Apple Watch I can be found in the list.